PLEASE Get Rid of Mayoral Control of the NYC Public Schools! The best argument against keeping Mayoral control over the NYC public schools is in yesterday's (June 1, 2016) NY POST - see below. 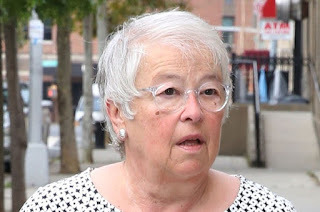 The corruption of Mayor Bill de Blasio and his sidekick, Carmen Farina. The two of them have managed to do more damage to the students of New York City than any Mayor in recent history, the truth will come out. No, I haven't forgotton about Bloomberg's scandal with CityTime.... but I still think the Bill-Carmen team is worse). The PEP puppets harm NYC public schools and the parents/children under their direction and authority. Bill and Carmen must not be left at the top without public supervision - give them monitors or something? Put them under 24-hour watch. But get rid of the PEP, and give us back a vote for school board members. I believe in no taxation/vexation without representation. July 4th is nearly here. "Public education shall be beyond control by municipalities and politics. The Board of Education of the City of New York is not a department of the city government, it is an independent corporate body and may sue and be sued in its corporate name. N.Y. Educ. Law §§ 300, 865. While the municipality must make appropriations of money to run the schools, the expenditure of that money when once appropriated vests solely in the educational board." Whatever, Preet, just do it. The 13-person panel that votes on city school spending signed off at an April meeting on millions of dollars in contracts for a slew of troubled vendors, The Post has learned. The Panel for Educational Policy, on which Schools Chancellor Carmen Fariña sits as a nonvoting member, voted to give 36 community-based organizations (CBOs) a total of $77 million to work with 82 struggling schools across the city. But many of the vendors are as tainted as the “renewal” schools with which they’ll begin working next month. Red flags include past complaints of sexual abuse, financial misconduct and ­neglect. “We are addressing this error and submitting an updated RA [request for authorization], including updated background-check information, for review and approval by the Panel for Educational Policy this month,” DOE spokeswoman Devora Kaye said. The department stated that the contracts were originally vetted by the city’s Department of Youth and Community Development. That agency did not ­return a call for comment. In March of this year, a girl ­under the care of a CBO called Abbott House filed a suit claiming she was repeatedly molested by her foster parent and that the organization blamed her when she complained. The PEP at the April meeting awarded Abbott House a two-year, $1.23 million contract to work with PS 64 in The Bronx. In July 2014, a staffer at Good Shepherd Services admitted to sexually abusing three underage students and was fired, according to records. But the PEP approved GSS’s two-year, $1.6 million pact to work with Essence School and Boys and Girls HS, both in Brooklyn. A dance instructor at the Sports & Arts in School Foundation pleaded guilty in 2014 to sexually abusing a 13-year-old ­female student. But the PEP approved two contracts worth $1.77 million for Sports & Arts to serve as a CBO at New Explorers HS in The Bronx and MS 053 Brian Piccolo in Queens. Former PEP member Patrick Sullivan blasted the omissions and blamed the sloppy oversight on a frenzy to enact new initiatives. 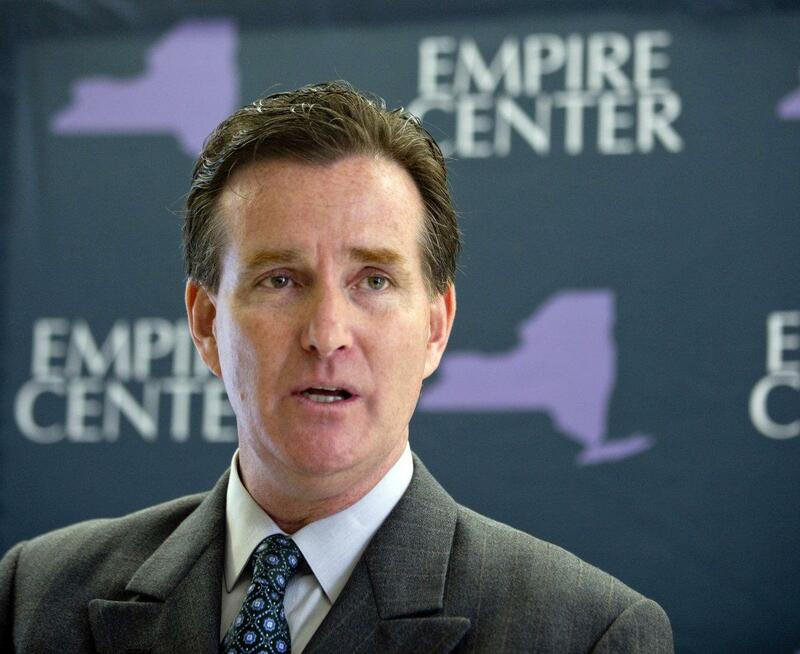 Senate Majority Leader John Flanagan sponsored the bill, which was quietly introduced to the Senate on Friday. ALBANY — In a shot directly at Mayor de Blasio, the state Senate Republicans on Friday quietly introduced a bill that would extend New York city mayoral control over the schools for just a year while at the same time giving the governor a role in how the city system is run. The bill by the Senate GOP, which has been warring with de Blasio, would create a new position of New York City education inspector that would be appointed not by the mayor, but the governor, with consent from the Senate. According to the bill, which is sponsored by Senate Majority Leader John Flanagan and Education Committee Chairman Carl Marcellino, the education inspector would provide "oversight, guidance, and technical assistance related to the educational and fiscal policies, practices, programs, and decisions of the city district, city board, chancellor, and mayor." The appointed inspector would need some kind of background in education and would serve, along with the schools chancellor, as a non-voting member of the city board. The inspector would be entitled to attend all board meetings, including executive sessions. The inspector, according to the bill, would have access to all educational facilities and records and could impose monthly reporting requirements on the board, chancellor or Department of Education. The gubernatorial appointee would also be able to appeal any decision by the city board to the state education commissioner, with the board being required to demonstrate their action was in the best interests of the students. The inspector would also be required to evaluate and make recommendations on a wide range of issues, including how funds are distributed, disciplinary actions against students and teachers, and the co-location of charter schools. He or she would also look into the effectiveness of programs for the disabled and English Language learners, and how well the city is engaging parents and community members. The evaluation results and recommendations would be reported to the governor and legislative leaders. 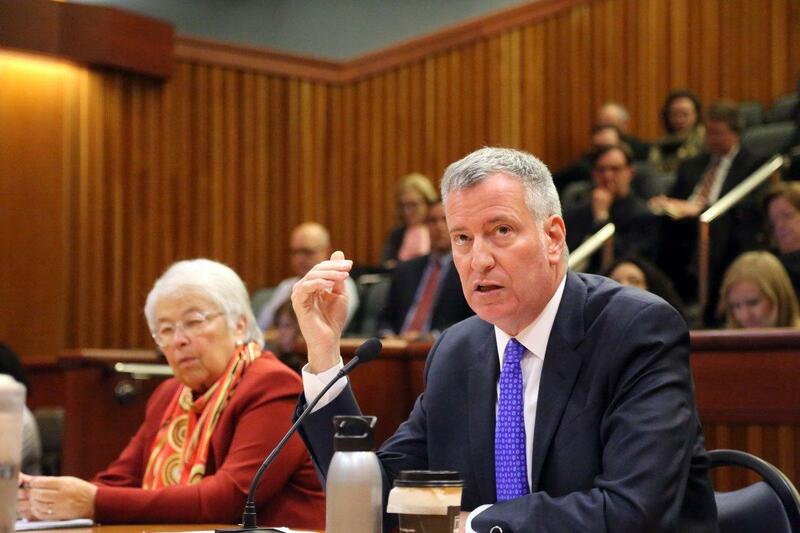 With the mayoral control law set to expire at the end of June, the Senate bill would extend it another year through June 30, 2017 — smack in the middle of de Blasio's re-election campaign. The bill would also require the city to regularly provide state leaders a trove of information on student and teacher data and expenditures as well as develop a facilities capital plan that identifies the 10 most overcrowded and underutilized school buildings. A de Blasio spokeswoman said City Hall would not support the Senate bill. Gov. Cuomo's office did not comment immediately. The Assembly, which recently passed its own bill that would extend mayoral control another three years, also opposes the Senate measure. 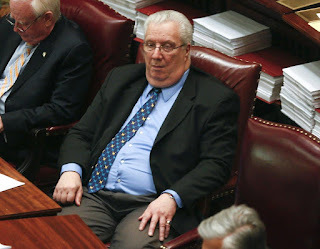 "They weren't interested in placing conditions on mayoral control when Mayor Bloomberg was in office," said Michael Whyland spokesman for Assembly Speaker Carl Heastie. "We support a straight extension." The matter must be resolved before the scheduled June 16 end of the legislative session or the law will expire and the city school system would revert back to the old Board of Education days.